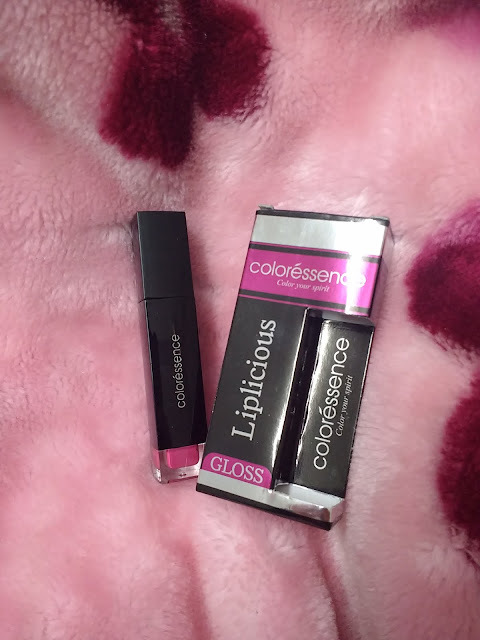 It's time for second review from my Coloressence Haul. Last time I reviewed Coloressence High Definition Foundation HDF-2 which is a fantastic foundation, great for daily usage. You can read its review if you are interested in buying or trying an HD foundation at affordable price. 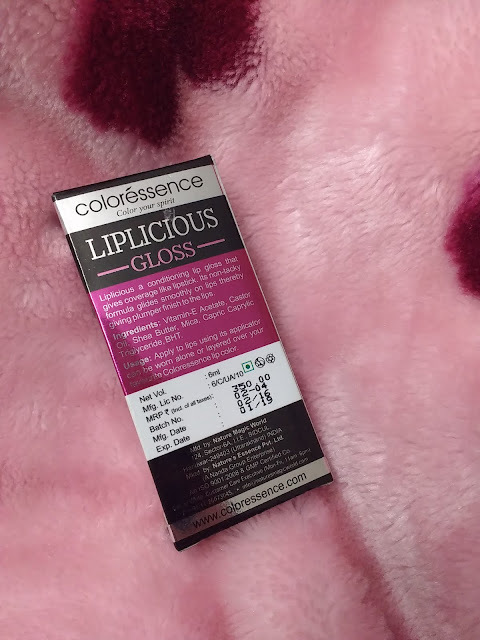 Enough with the foundation, let's get started with the review of Coloressence Liplicious Gloss in shade LLG-4 Lovable. I have not tried very bright striking colors in lip glosses, so thought of going with this one. 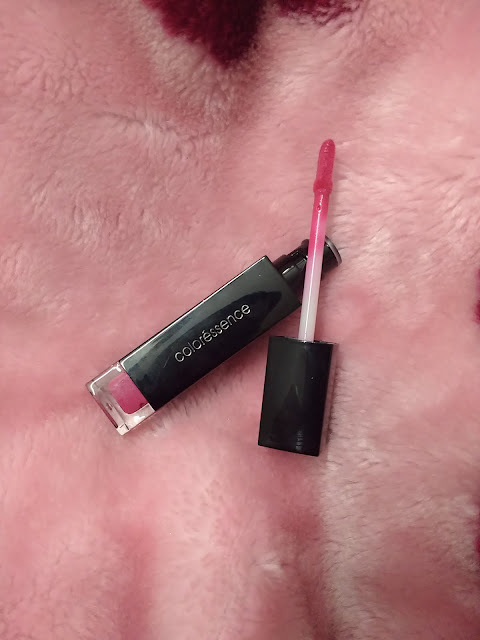 Liplicious is a conditioning lip gloss that gives coverage like a lipstick. It's non-tacky formula glides smoothly on lips, thereby giving plumper finish to the lips. Apply to lips using its applicator. 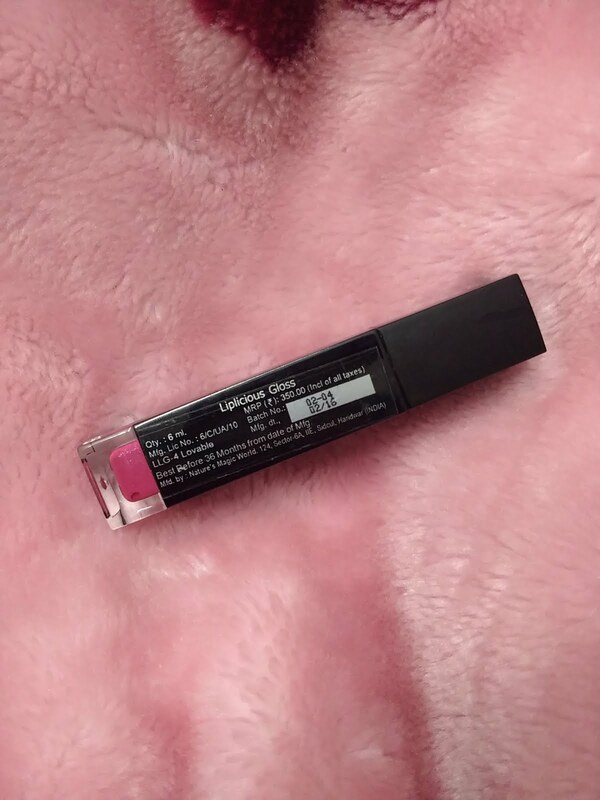 Can be worn alone or layered over your favorite lip color. Coloressence Liplicious Gloss LLG-4 Lovable is a pretty fuchsia pink with silver glitter dust particles milled into the formulation. Color turn out is great. You can get color with slight swipe for light fuchsia effect. If you want dark glossy lips, apply it generously on the lips. I do not like too dark fuchsia lips so I dabbed it a little on lips using brush to gently spread the formula on my lips. 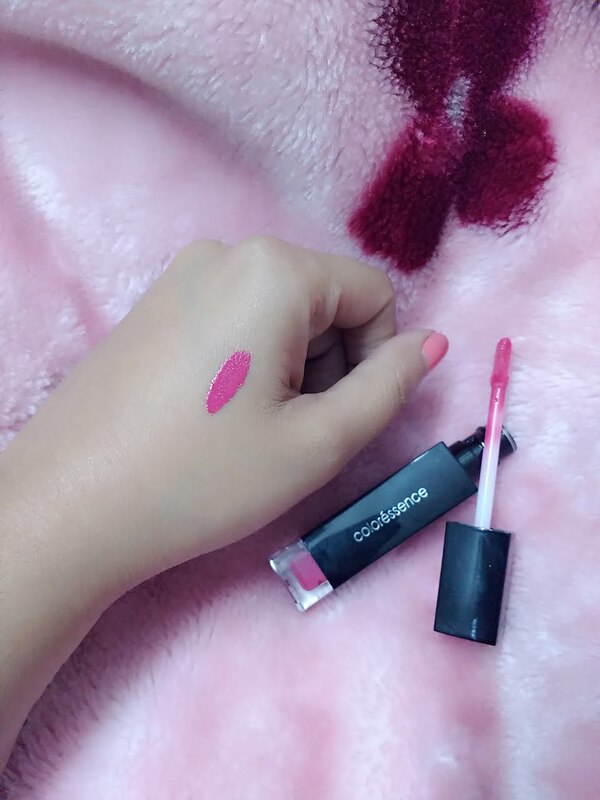 Although it is a gloss, but the finish is like a lipstick which is a good thing if you are looking for budget friendly liquid lipsticks. The quantity seems to be enough for the price. Formulation is really nice and smooth, lasting for a long time since you will need only a little quantity for color turn out. Packaging is very sleek. The lip gloss bottle is black with transparent stripe at the bottom where you can see the color of the gloss. The cap is black too which closes perfectly. The wand is easy to use with soft applicator giving a smooth finish. It came in a cardboard box with all the details mentioned about the brand, ingredients and details. Easy to use wand and applicator for smooth finish. Great pigmentation. A little goes a long way. Packaging is amazing making it travel friendly. Cost is affordable for the quantity given. Does not spread or transfer to your eatables. Honestly, I could not find any cons. It has BHT, which some consider to be carcnogenic preservative, but it is also known for being antioxidant so, a little contradiction there. Hope you loved the review and will try this lip gloss soon!